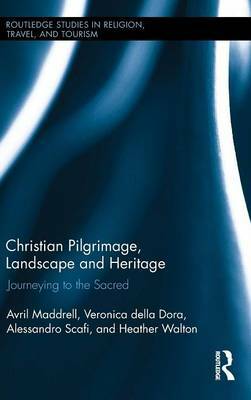 This volume provides a theoretically and empirically-grounded study of the significance of landscape in the experience of Christian pilgrimage across different denominations and its intersection with cultural heritage and tourism. The book focuses on pilgrimages to Meteora (Greece), Subiaco (Italy) and the Isle of Man. These are each sites of scenic beauty that boast a rich heritage associated respectively to Greek Orthodox, Roman Catholic and Ecumenical/ Protestant denominations. The study discusses different Christian theologies, practices and perspectives on the nature and the purpose of pilgrimage in these traditions. It draws on participant experiential accounts, archival research, and interviews with clergy, laity and local stakeholders. Special attention is paid to the themes of sacred space and practice, aesthetics, mobilities, embodiment and performance, emotional geographies, theology, cultural heritage, consumption and commodification, and the pilgrim-tourist continuum.